A group of young Indonesian Muslim leaders paid a visit to AMUST offices at Dar-ul-Islam in Bonnyrigg, Sydney meeting AMUST team members on Saturday 16 December. This is the first group of Indonesian delegates visiting Australia under the Australia-Indonesia Muslim Leaders Exchange 2017–18 (MEP) program that has been successfully operating since 2002 involving visits to Australia by groups of young Indonesian Muslim community leaders to have a greater awareness of Australia’s multicultural society. The Indonesian delegates went to Melbourne, Canberra and Sydney within a period of two weeks during mid-December 2017 and visited prominent universities, mosques, interfaith organisations and businesses and AMUST offices availing the opportunity to have discussions with a variety of community leaders. The delegation included Dr Ahmad Handayani, a Medical Doctor from North Sumatra involved in disaster relief work as well as working with Rohingya refugees; Dr Abdurrohim, the Head of an Islamic College in Kalimantan; Ms Jayanti, an educational consultant who delivers school-based community development programs in remote communities; Mr Muhammad Mu’tasimbillah, a young imam from West Java working on issues of hate speech and interfaith; and Ms Nati Sajidah, a teacher trainer and corporate consultant who has founded a Qur’an Lovers Community. At AMUST offices they met Mr Zia Ahmad, Editor-in-Chief of AMUST as well as Mrs Mehar Ahmad, President, Seena Incorporated, Publishers of AMUST. Some delegates later reflected on their visit. 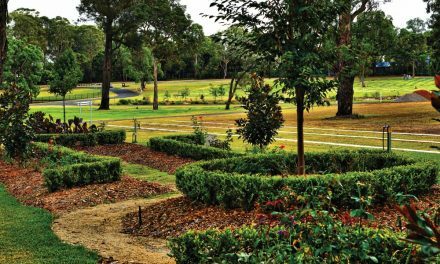 “While visiting al-Siraat College in Epping, Melbourne, I found the Australasian Muslim Times newspaper and asked the school if I could take it home. One of the places that gave me the best impression as a participant of the Muslim Exchange Program was visiting the Australasian Muslim Times (AMUST) offices in Sydney. It cannot be denied that we have met some incredible people over the course of our meetings in the 2017-18 MEP program. The program ended with our meeting with Mr Zia Ahmad and Mrs Mehar Ahmad, a perfect couple of Indian-Pakistani origin, the team behind the Australasian Muslim Times. This impressive couple are prominent representatives of the Muslim community, with a host of awards and incredible passion for sharing positive news stories about Islam and the Australian Muslim community. Mr Ahmad explained that half of the publication’s subscribers are in fact non-Muslims. This movement for positive media is a golden bridge to creating authentic understanding about Islam and Muslim communities in Australia. The Muslim Times is also an effective medium for disseminating ideas of interfaith dialogue and breaking down the barriers between people of faith in Australia. 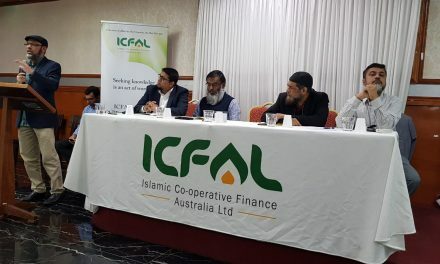 “Through this program, I am able to acknowledge and understand the reality of Muslims life in Australia, which is very diverse, they come from different countries and cultures, so this makes Australian muslim life very rich. 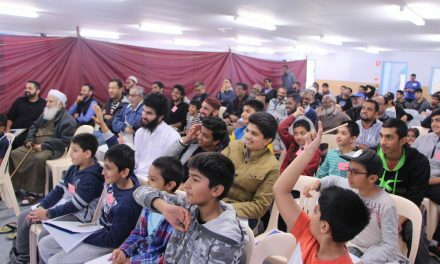 Here you have a different type of mosques which I find very interesting, this reality was contrary to my prior assumption that Australian Muslim Community consists of only anglo-Australian Muslims. PreviousChan Han Choi should be congratulated. 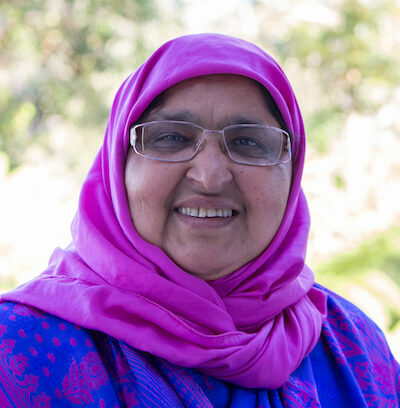 Mehar Ahmad based in Sydney is a Public School Teacher and President of Seena Inc, Publishers of the Australasian Muslim Times AMUST.